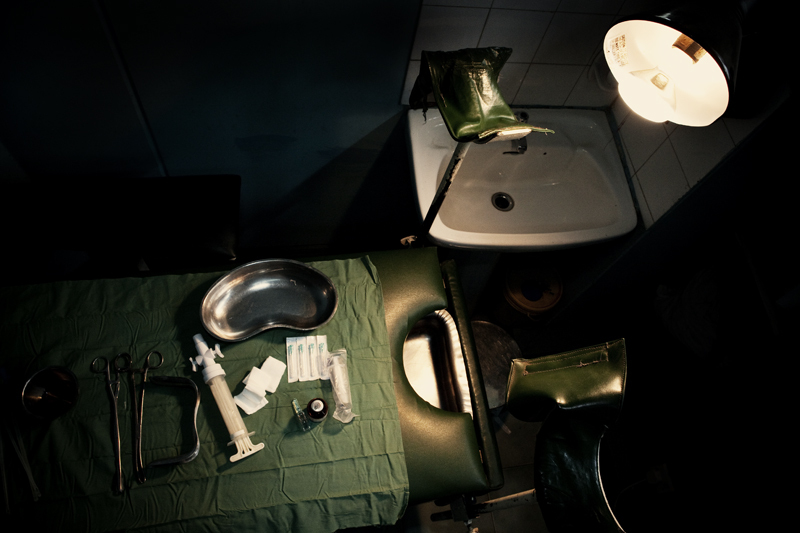 NAIROBI – JUNE 9: A surgery theater in a gynecology office in Nairobi, Kenya’s City Center on June 9th, 2010. Doctors working in the office are trained professionals and use MVA otherwise know as manual vacuum aspiration. Vacuum aspiration was originally developed by two doctors, Yuantai Wu and Xianzhen Wu from Shanghai, and published in 1958 in the Chinese Journal of Obstetrics and Gynecology. The Procedure is said to be one of the most common and safest ways to terminate an unwanted pregnancy and takes less than 15 minutes.